How about a little giveaway to sweeten your day? 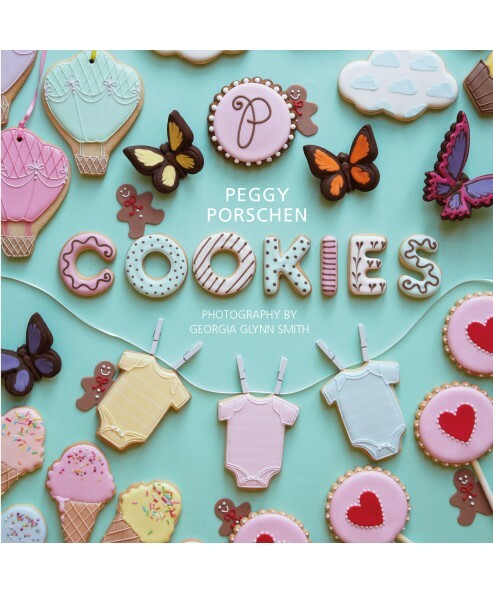 I’m giving away a copy of Peggy Porschen’s book, Cookies , to one lucky winner! If you don’t already know Peggy, she’s an extremely talented baker and sugar artist, who has a series of beautiful books (click here to see ), who has opened the darling Peggy Porschen Parlour in London’s Belgravia and who runs her own Academy in London dedicated entirely to baking, cake decorating and sugarcraft. Her book, Cookies , is a practical and inspiring pocket-sized guide to baking and decorating cookies, with clear, step-by-step instructions and photographs of every cookie and lots of baking hints and tips. 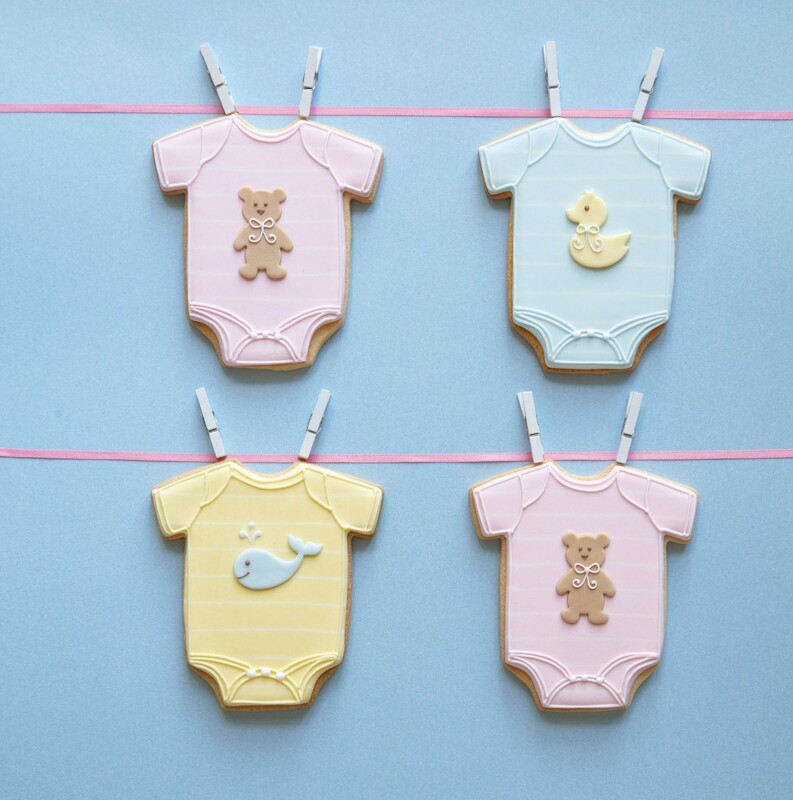 As usual, I’m in love with every cookie design she shares, and have already copied one of her ideas, the striped onesie (my version here). Whether you’re new or a seasoned decorator, I’m sure you’ll love this book. Peggy’s newest book, Love Layer Cakes , will officially be out in North America in early 2016 by the way. The cakes look absolutely delectable – I can’t wait to try the recipes out! Congratulations to comment # 283, Ana Lara! I will contact you via email for your snail mail address. Giveaway! 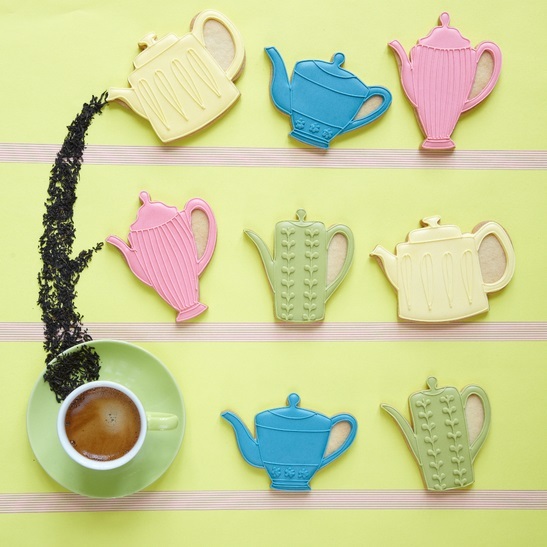 Peggy Porschen’s Book, Cookies CLOSED! Enter to win a copy of Peggy’s book; I’ll be giving away 1 copy to 1 winner! The giveaway is international. The winner will be chosen randomly at random.org. The contest closes at 7pm EST on Friday, June 15th, 2015. More gobblydegook details about official giveaway rules can be found here. HOW TO ENTER – GIVEAWAY CLOSED! Do one of these options, do two of them, three or all – whichever options you prefer! 2. Tweet this post and leave another comment saying you’ve shared it there. 4. Pin this post, tag me in it (here I am on Pinterest), and leave another comment letting me know you’ve done that. Hi! I love Peggy’s books! I’d love to win one! I love your blog! Thank you for being awesome! I would love to win this!!!!!!!! I’d LOVE to win this book! I’m also sharing on Facebook. Oh i d really really love to win. Have a nice weekend ! I love Peggy’s work soo much. I’d love to win her book!! i realy like to win this book, its so fit for the baby shower i am planning, hope the dream will come true. I’d like to win! I think the ice cream cones are pretty cute. Pinned and tagged on pinterest! l would love to win! Love your work, Marian! I’d love to win the book as well!